We make movement on bus and foot main, but rental cycle is recommended from spring to autumn, too. There is convenience store for the middle to go to bus stop from the Yamagata north station square, too. 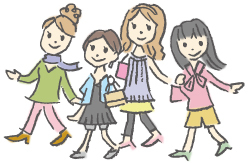 The feature is that we can go to shop forming traditional craft directly. 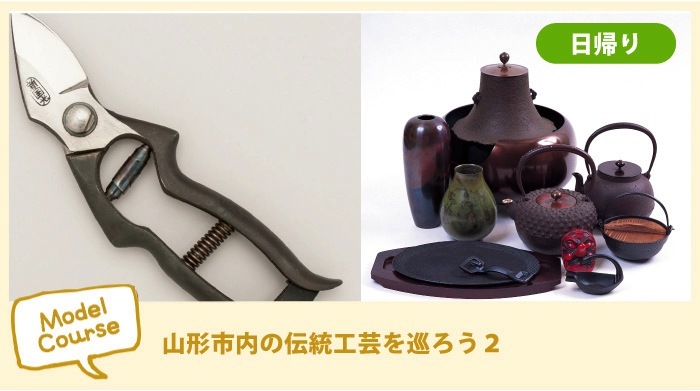 In the Yamagata city, it is 3 stores that can purchase folkcraft by select. Point that we can observe comes to need reservation. 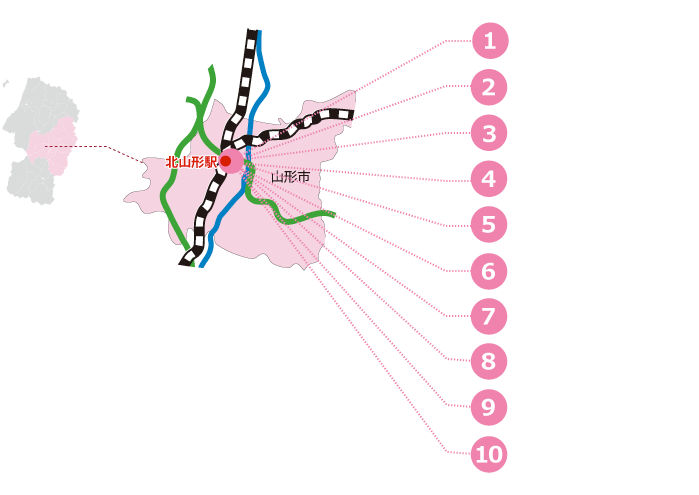 It is main stations where Ou Main Line, Aterazawa Line, Senzan Line run in. Please use the east exit of station this time. Please get on bus for prefectural center Hospital Takamatsu Hayama (Omotezao Exit). It is the 15th generation as of opening from order founder of Prince Yamagata lord of a castle Yoshiaki Mogami. We perform sale and repair of casting craft. ※[visit] We can do it. Reservation is necessary for making experience. We are doing the delicate feel and the sharp sharpness that are on the basis of one article of one article hand finish, and matched human sensitivity practically. ※[visit] Reservation is necessary for this. Invention is felt so that traditional member of a group technique matches current lifestyle. It is said to be the world of "casting art", and casting and work of fusion of art have interior miscellaneous goods and art object, Bronn image. ※[visit], [production experience] need reservation. 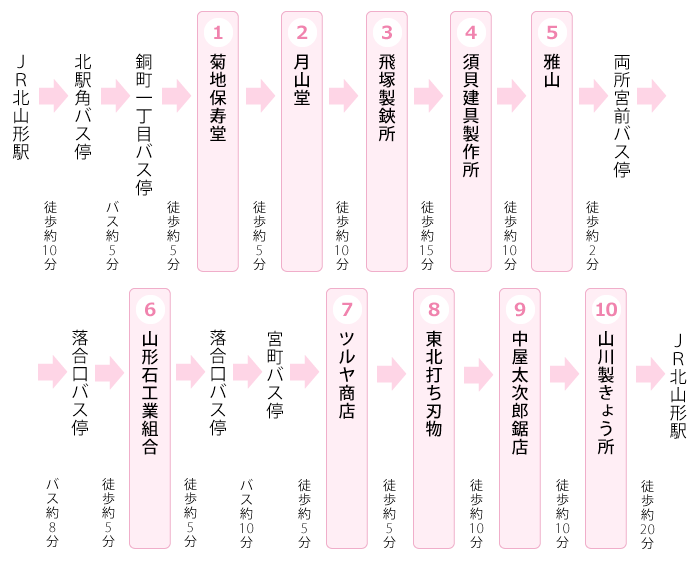 Please take the prefectural center Hospital (BIC wing, Hanatate) bank line. Zao stone (cheap mountain range) is durable rock which is hard to be broken. We aim at technical tradition and improvement in association. Please get on to go to Hills Sunpia (via Matsumicho). We go by technique not to change from old days. We can understand high technique of Japanese craftsman. Convey history more than 600 years in now; beat, and create knives. We perform knife, by hand all one by one maintenance made. We are loved by one article of one article handwork by many customers. There are not Gifts Monoya or cafe around Yamagata north Station. There are sale place and cafe in station building of the station adjacency when we go to Yamagata Station and Tendo Station.